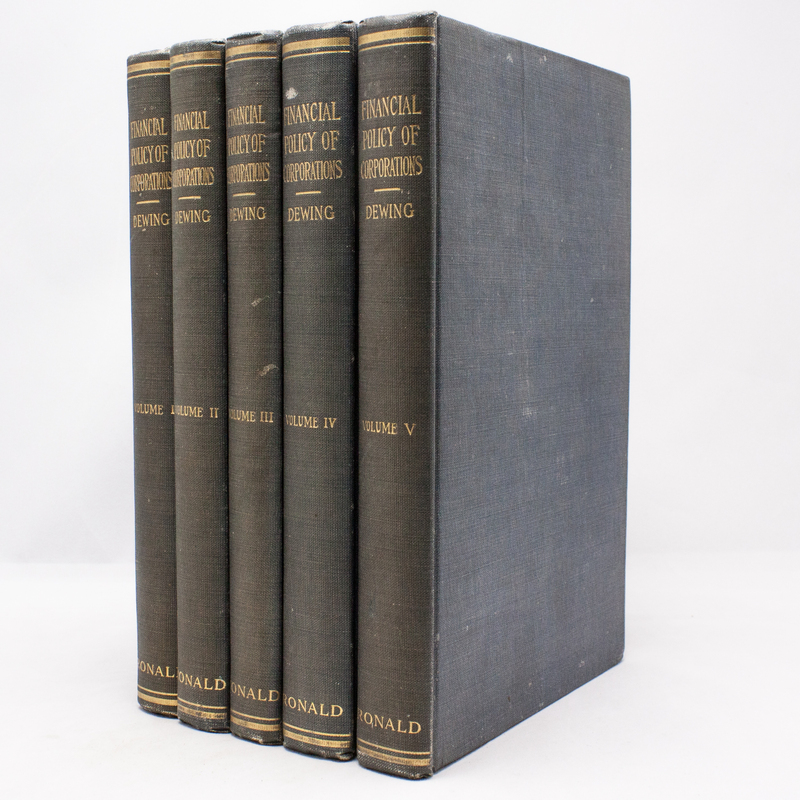 Financial Policy Of Corporations - IFA Vintage and Current Book Library - Index Fund Advisors, Inc.
Notes: This is the complete five volume set in very good condition. It is NOT a set which has been pieced together. All the books show minor blemishes. The gold gilt on the spine is bright. The hinges & binding are nice and tight and the pages are clean. It is worth mentioning that it is very uncommon to see a complete 5 volume set in the first edition. Dewing was a well known economist, on the same caliber as Irving Fisher, Friedrich Von Hayek and Frank Knight. He was educated at Harvard University, receiving his doctorate in 1905. He remained at Harvard until 1933 as a professor teaching economics. During his latter period at Harvard, Dewing played a vital role in the Harvard Business School and developed the case study method used there.